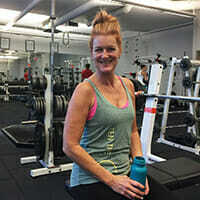 Anyone can benefit from working with one of our Vancouver nutrition coaches. From fuelling your new workout plan to larger goals like weight loss or bulking up, we will show you a new way of eating that is easier to incorporate into your busy lifestyle. No calorie counting, no weighing portions, no ‘bad foods’ and no ridiculous starvation diets. Precision’s nutrition coaching program takes an integrated approach to your health, reviewing your sleep, nutrition, water intake, fitness and overall lifestyle. We’ll provide you with a better understanding of how these important pieces are related, and show you what adjustments can be made to help achieve your health and fitness goals. Each person’s food and nutrient requirements are as unique as a fingerprint. Our certified Vancouver fitness and nutrition coaches will identify what your individual nutritional needs are and provide you with a easy-to-follow program to suit your lifestyle. One-on-one coaching sessions empower you to learn about your unique requirements and how to integrate these into your life—for good. You’ll have unlimited support via email with your nutrition coach along your journey to better health. Nutrition coaching is available to both individuals and groups. Learn more about our Corporate Fitness programs or put together your own group. Additional Meal Plan 20 min Includes recipes, shopping list, macro nutrient breakdown, and unlimited email support. **Client must have completed the initial consultation first. Girth measurement and body composition analysis. Note: Pricing is per person and does not include taxes. If 24 hours’ cancellation notice is not provided, you will be charged in full for the missed session. Jade has helped to reshape my thoughts and attitude towards food. I always knew how important food and nutrition were in achieving my health and fitness goals but have never really truly understood that until I began working with him. His deep knowledge of fitness and nutrition from years of experience and his passion for health and his clients is evident in his coaching style. He has inspired me to really commit to my goals and helped me to create a meal plan that is really working for me, along with some great tracking tool recommendations and nutritional guidelines! Selecting you (Jade) for a fitness trainer and nutritionist was an excellent choice. I am well on the way to achieving what I set out to do and I attribute that to your abilities. You are doing an amazing job in assisting me to get where I want and make it interesting and enjoyable. Your program, your motivation and inspiration are very much appreciated. It’s nice to see a person who actually practices what they preach. I feel more refreshed, energized, stronger and resilient and that allows me to do a lot more so I owe you a great deal. Teri-Lynn’s knowledge, professionalism and nutrition advice have brought me to my goals of muscle mass, increased endurance and energy. EAT YOUR WAY TO YOUR FITNESS GOALS: MEET WITH A NUTRITION COACH.